Why wait until December? 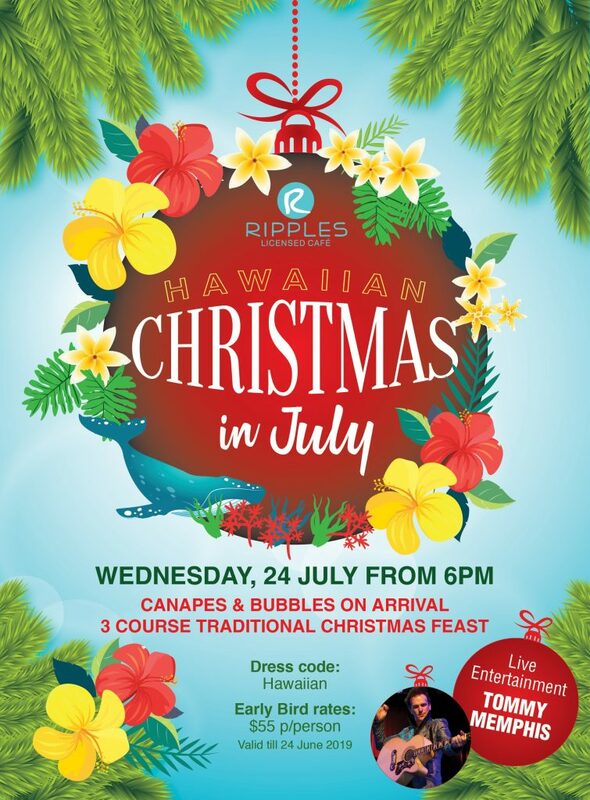 Christmas comes early at North Star with our much-loved, annual Christmas in July celebration and this year, we’ve added an extra helping of ‘awesomeness’ to the night by giving things an Hawaiian twist! Enjoy canapes and bubbles on arrival and a traditional three-course Christmas feast topped off with plenty of Christmas cheer and toe-tappin’ entertainment by the fabulous Tommy Memphis. Christmas in July is the perfect excuse for a relaxing escape at North Star Holiday Resort, with cabin rates from as little as $147 per night based on twin share.